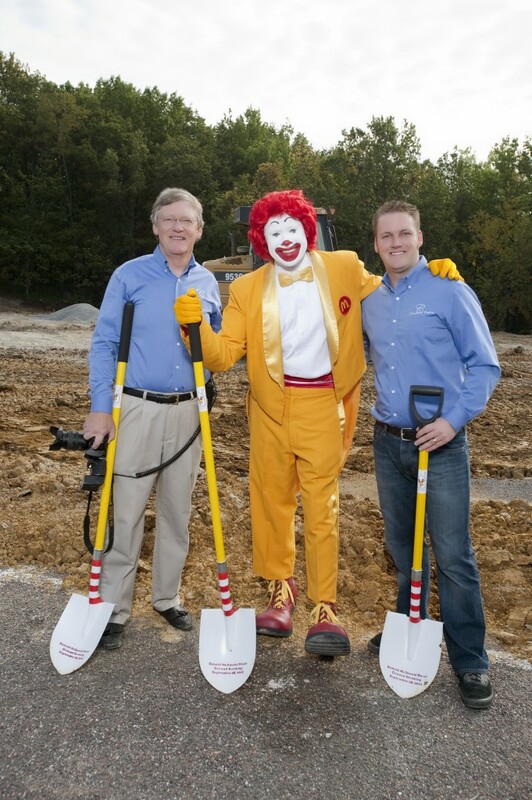 Yesterday morning we had the great privilege of being part of the ground breaking for the new Ronald McDonald House. Thanks to Knorr Marketing Communications the event was perfectly orchestrated and well attended. Everyone young and old had the opportunity to be photographed with Ronald McDonald. Even a couple of photographers couldn’t resist having their picture taken with a celebrity. The Ronald McDonald House Charities performs a wonderful service for families in difficult or challenging times. It was very refreshing to see how much Mid-Missouri supports an organization that’s whole mission is to find ways to improve the health and well being of children. It was a beautiful morning and a beautiful start to a new facility. Copyright © 2014 Creative Photo. All rights reserved.